Emily Bronte and her Writing Style: The Bronte sisters, namely Elizabeth, Emily, and Anne, are famous for their contribution to English literature. 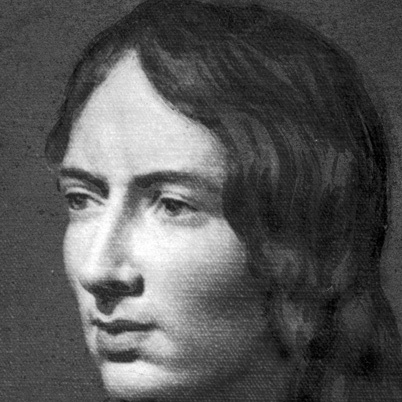 Emily Bronte was an English poet and novelist. Her full name was Emily Jane Bronte. She is famous for the only novel she had written during her lifetime, Wuthering Heights. The novel is now considered one of the classics of English literature. She had also authored some beautiful poems through her career. Emily was originally the fifth of the six Bronte siblings, but two of the eldest died at a young age due to serious ailments. Emily wrote under the pen name of Ellis Bell. Emily Bronte was quite different from the other Victorian girls. She was born on July 30, 1818, in Thorton near Bradford. Her father was Patrick Bronte, who was Irish. 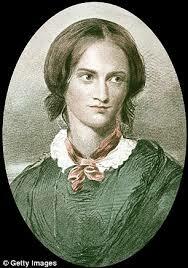 Her mother was named Maria Branwell Bronte, who died of cancer when Emily was aged only 3 years old. The siblings were named in the order – Maria, Elizabeth, Charlotte, Patrick, Emily, and Anne. Not only the ladies in the family, Emily’s father Reverend Patrick Bronte had several published works. Even her brother Patrick Branwell had an interest in literature in his early days and loved playings with words along with their sister. She died on December 19, 1848, from tuberculosis. Emily was very shy and hardly had any contact with the outside world. She was very close to her siblings. She had started writing from a very young age that had started around childish games devised by the Bronte siblings. But the poems written by Emily during this age was never published and is supposedly lost. Emily and Anne are known to have written about a fictional island named Gondal at a young age, developed characters and enacted them. These writings were not preserved and most of them were lost, leaving a few. Wuthering Heights is supposed to be inspired by the work of her brother named The Life of Alexander Percy. Emily Bronte had always been much of a mysterious figure. There has never been much information about her due to her reclusive nature and her love for solidity. Charlotte Bronte, her surviving elder sister, had been the source of most of the information about her. But the descriptions of Emily in the words of Charlotte was somewhat shady and did not disclose fully the personality of Emily. Emily was also known to be quite fond of animals. Her love of the moors is actually hinted in her work Wuthering Heights, it is the only novel she ever wrote. Including Agnes Grey by Anne Bronte, the authors were mentioned as Ellis and Acton Bell. The public did not know about Emily before her death. It was only in 1950 that her name came to light on the title page of an edited commercial edition. Emily had written a lot of poems before Wuthering Heights and her style was surely quite lyrical. Her love for nature can be found in the lead characters, Heathcliff and Catherine. Bronte had even varied the narration of the novel depending on the character who is narrating, Nelly Dean or Lockwood. Emily Bronte also describes the human nature of being opinionated through Nelly’s narration. Nelly feels powerful given the chance to narration by Bronte. The deep meaning of each word used by Emily can be seen even in the last sentence of the novel. The only poems that were published during the lifetime of Emily Bronte made a slim volume. It was published along with the ones written by her sister and titled as Poems by Currer, Ellis, and Acton Bell. Only two copies were sold and received three reviews, which were positive for Emily. Nearly two hundred poems were collected by C. W. Hatfield and published in The Complete Poems of Emily Jane Bronte in 1941. Bronte had reached the heights of her poetry before she died at an immature age. Her poems were described as having a fine quaint style. They were also described to be having the wings destined to fly high, but these were not quite realized due to her sudden death from tuberculosis at an age of 30.